Tangy, spicy and exotic, capers add a delightful touch to Italian dishes. Capers are mainly used as a seasoning or for garnishing. They are redolent with flavor but surprisingly have many health benefits as well. 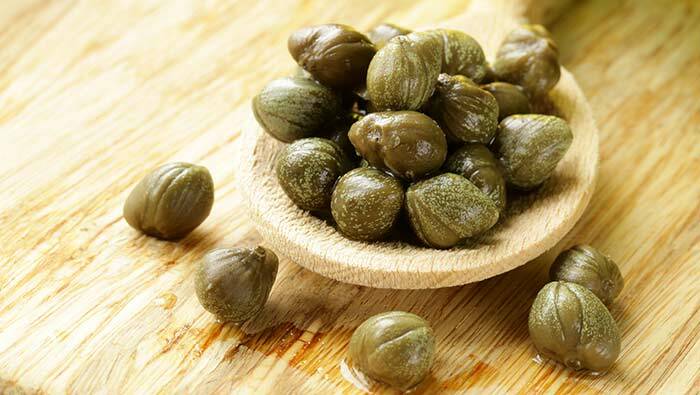 Read on amazing benefits of capers in this post. Capers are the unripe flower buds of Capparis spinosa. They are also called Flinders rose. Capers are perennial winter deciduous plants which are native to the Mediterranean and some parts of Asia and South Africa (1). These are an integral ingredient in Mediterranean cuisines. After these pea sized buds are cultivated, they are dried in the sun and used in pickles due to their tangy lemony flavor. Ancient history says capers were used in Sumerian food. 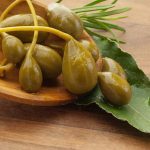 Capers range in size from that of a peppercorn or nonpareil up to the size of a small green olive. Larger capers are stronger in flavor but if you want to enjoy its aroma go for the tiny ones. Caper buds are picked by hand. They not only add some vibrant flavor to your meals, they are also known for their immense health benefits. One tablespoon capers contain just two calories. Hence capers can be a good option if you are following a low calorie diet. Apart from its low calorie benefit, they also contain antioxidants, phytonutrients, and vitamins essential for optimum health. Each 100 grams capers contain 5 gram carbohydrate, 0.4 gram sugar, 3 grams dietary fiber, 0.9 gram fat, 2 gram protein, 4 mg vitamin C, 138 IU vitamin A, 24.6 mg vitamin K, 0.88mg vitamin E, 0.652 mg niacin, 0.139 mg riboflavin,1.7 mg iron, 2960 mg sodium, 40 mg potassium, and 96 KJ energies. Capers are rich in flavonoid compounds including rutin and quercetin. Both these compounds are potent sources of antioxidants. Antioxidants are known to prevent free radical, which can cause cancer and skin related diseases. Rutin helps in smooth circulation of blood and it can be very helpful in treating strained blood vessels. Recent research reveals quercetin has analgesic, anti- inflammatory, antibacterial and anti-carcinogenic properties (2). Capers contain minerals like iron, calcium, copper and high levels of sodium (3). Calcium helps in building strong bones, and teeth. Copper combines with certain proteins to produce enzymes that act as catalyst to help a number of body functions. Iron helps our muscle to store and use oxygen. It is a part of many enzymes that help our body to digest food. These tasty herbs are storehouses of vitamins such as vitamin A, vitamin K, niacin, and riboflavin (4). Vitamin A improves eyesight and helps us see in the dark. It may also reduce the risk of certain cancers. This essential vitamin helps our body fight off infection and retains our immunity system. Vitamin K plays a vital role in bone health. It lowers the risk of blood clotting. Niacin protects against cardiovascular diseases and also supports cognitive functions, the nervous and digestive system. Riboflavin, also called vitamin B2, helps the body to convert food into fuel that keeps us energetic. It is also known to support adrenal function. Thus it helps to maintain a healthy nervous system. Capers are potent sources of fiber (5). Fiber reduces constipation. A tablespoon of capers contains 0.3 grams of fiber, about 3 percent of your minimum recommended daily fiber intake. People who include fat and red meat in their daily diet should eat capers since it destroys certain byproducts found in meat and foods which are rich in fat. These byproducts are often responsible for cancer and cardiovascular disease. Capers have been used as a treatment for rheumatic pain (6) in ancient Greece. Caper relieves stomach ache and flatulence (7). In addition, these spicy buds are eaten for improving appetite. Capers help to keep diabetes in check. 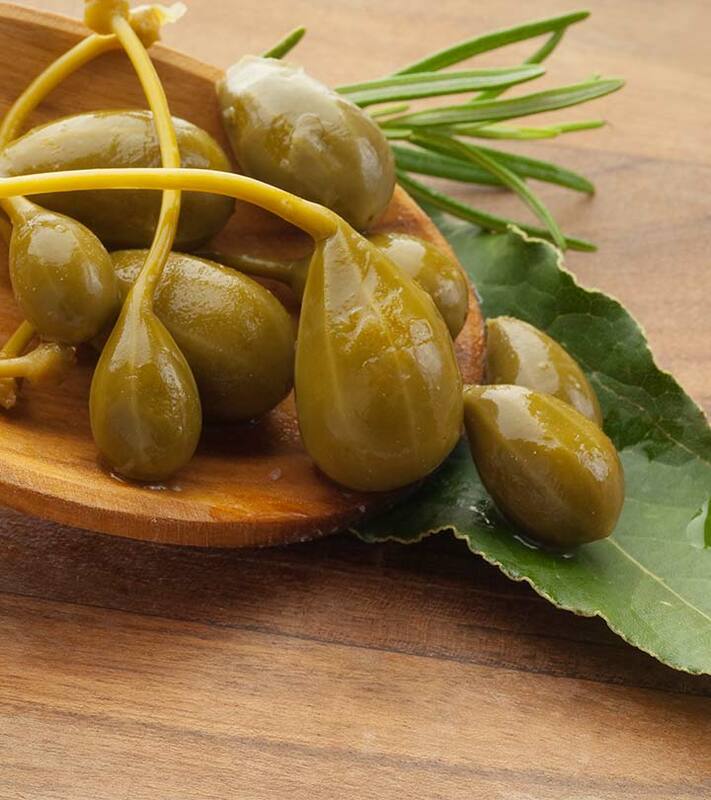 Capers contain chemicals that keep blood sugar in check. Avoid consuming high quantities of capers if you are already using diabetes medicine as both tend to lower blood sugar (8). These are also known to prevent chest congestion. It reduces phlegm (9). Capers are good for dry skin (10). They can be used directly on the skin to keep it moisturized. It is also used in treating skin disorders such as skin redness, irritation and pimples. Hence, capers are used in skin care products (11). In addition, caper helps to slow down the aging process due to its antioxidant properties. Capers are widely used in hair care products too since it is rich in vitamin B and iron. Both are known for promoting hair growth. Vitamin B helps blood circulation in our body. 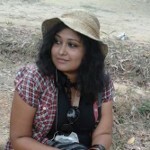 Thus it sustains the overall health of hair since blood circulation is a primary condition for healthy and shiny hair. Iron helps to prevent hair loss. If you are on a low sodium diet you should avoid capers since they are a rich source of sodium. A common sign of eating excess capers is extreme thirst. So try to consume it in moderate amounts. Capers retain water naturally since they contain a high amount of sodium. Hence this water retention can make you feel bloated. Be careful about eating excessive amount of capers. If you suffer from high blood pressure you should avoid eating capers. Excess sodium increases blood volume since it retains water. Excess sodium intake could put the body at risk for heart diseases. Another side effect of eating too much capers is the risk of developing osteoporosis. Sodium decreases your bone density which causes them to lose strength. It also prevents your body from absorbing calcium, which is crucial for building and retaining bone health. The weak bone condition often leads to osteoporosis. And if you already have osteoporosis, better stay away from capers. Capers should be avoided when you are pregnant or are undergoing any surgery (12). Capers are used to bring flavor in a variety of sauces including remoulade or tartare. They are great when cooked with cheese. Knowing the amazing health benefits, you can add them as a replacement for salt while cooking salmon, chicken, turkey, red meat, vegetable and salad. Its tender shoots are also used in different dishes. When it comes to capers, the dark green ones in smaller sizes are the best. Peppercorn sized capers from southern France are considered the finest capers in the world. Capers are usually sold in brine. Store them in the fridge. You must ensure that they stay dipped in brine so that they do not get dry. Hope you liked our post on benefits of capers. So what are you waiting for? Add capers to your diet for their health benefits and delicious taste. Share your thoughts in the comments section below. Ever Heard Of Kalamata Olives? How Are They Good For You?